This repeat post was first published on The Tales on Dec. 31, 2016. This announcement from Haaretz on December 26, 2016: "Legendary Maestro Zubin Mehta Announces Retirement From Israel Philharmonic Orchestra" - "After over three decades at its helm, the Indian-born conductor will leave in October 2018"
This from the Zubin Mehta biography page: "Zubin Mehta was born in 1936 in Bombay [India] and received his first musical education under his father’s Mehli Mehta’s guidance who was a noted concert violinist and the founder of the Bombay Symphony Orchestra." "By 1961 he had already conducted the Vienna, Berlin and Israel Philharmonic Orchestras and has recently celebrated 50 years of musical collaboration with all three ensembles." 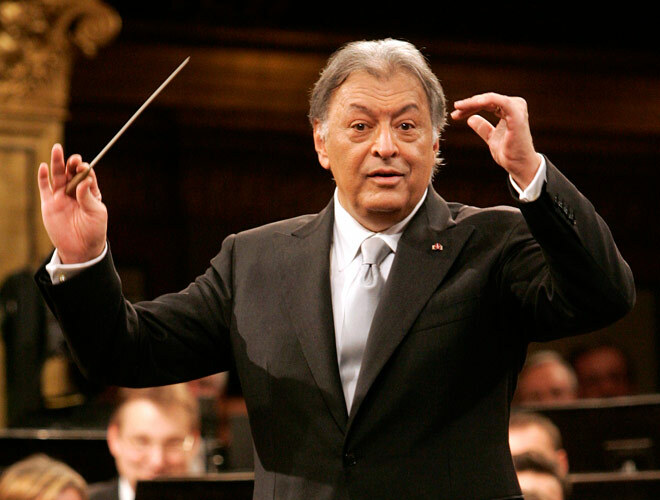 "Zubin Mehta continues to support the discovery and furtherance of musical talents all over the world. Together with his brother Zarin he is a co-chairman of the Mehli Mehta Music Foundation in Bombay where more than 200 children are educated in Western Classical Music. The Buchmann-Mehta School of Music in Tel Aviv develops young talent in Israel and is closely related to the Israel Philharmonic Orchestra, as is a new project of teaching young Arab Israelis in the cities of Shwaram and Nazareth with local teachers and members of the Israel Philharmonic Orchestra." The Tales wishes Maestro Mehta congratulations for his upcoming retirement in 2018 and all the best blessings. On 24th December 2011, the Israel Philharmonic Orchestra, celebrated its 75th Anniversary with a concert conducted by Zubin Mehta in Tel Aviv. Here is Maestro Mehta leading the orchestra in Chopin's beautiful piano concerto #1, with virtuoso pianist, Israeli-Russian, Evgeny Kissin as the soloist. Listen to this wonderful interpretation of the final movement of Beethoven's mesmerizing "Pastoral" 6th Symphony by Zubin Mehta as he leads the Israeli Philharmonic in one of my favorite symphonies. Now here is Maestro Zubin Mehta leading the Israel Philharmonic Orchestra in Tel Aviv in 2004 in Beethoven's pensive Piano Concerto #4 with pianist supreme, Mitsuko Uchida, the soloist. note: Mitsuko Uchida also plays an encore - Mozart's piano sonata in C Major, "semplice", Andante movement in the following video. In this final video tribute to Maestro Mehta, please turn up the volume and enjoy this live recording from 1988 in Tel Aviv at the 40 year celebration of the state of Israel, where Zubin Mehta leads the Israel Philharmonic Orchestra in Israel's National Anthem, Hatikva, the 'Hope'. 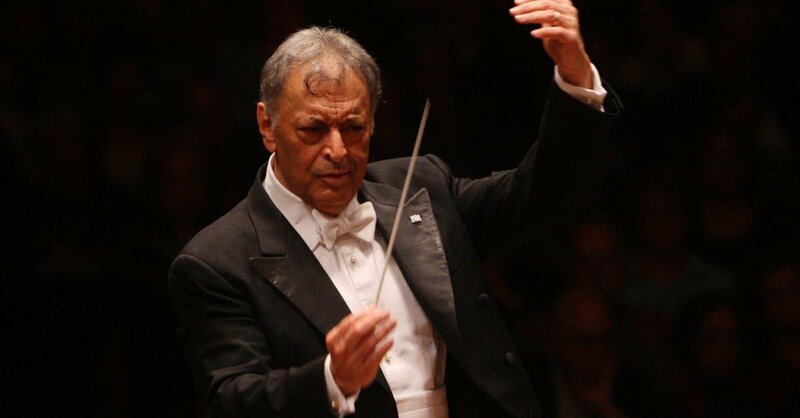 Bravo and best wishes, Maestro Zubin Mehta!